Hosea & Tinsley are empty nesters, pursuing their dream of publishing romance novels. He (Hosea) is a retired Process Quality Manager, chasing a golf ball around a local course in the Chicago metro area. She (Tinsley) is a retired Nurse Case Manager, and active on the board of an organization (Sisters Network – Chicago Chapter) attempting to educate and eventually eradicate “breast cancer”. Together the pair offers advice and consultation on building and maintaining healthy relationships. They are ardent believers in Black Love and are dedicated to the community. In November of 2004 with an assortment of articles and other writings under their belt, and stimulated by a cruise taken with some of their favorite authors, they felt ready to provide their readers with a good story to enjoy. 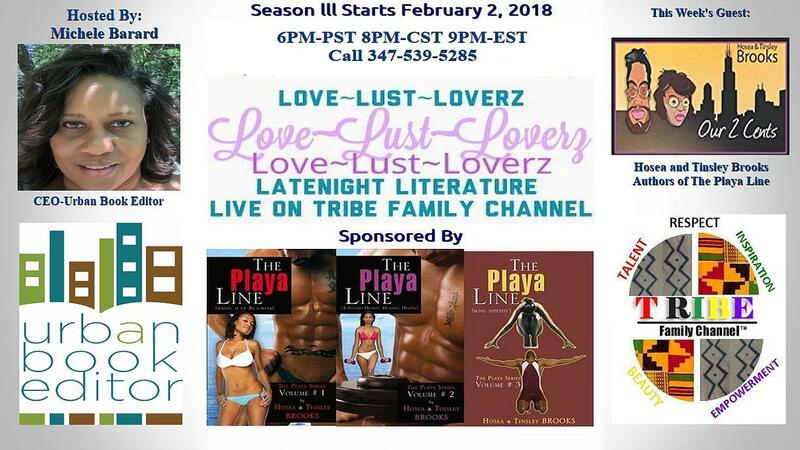 Their literary work, “The PLAYA Line” became a series with the final 4th volume in the final edit process. Volumes 1-3 are already available in paperback and e-version across the most popular suppliers. Their 5th book (“Dangerous Curves”) is in edit mode and scheduled for release later this year.